The MBTA paid more overtime pay to workers last year than it has in several years. 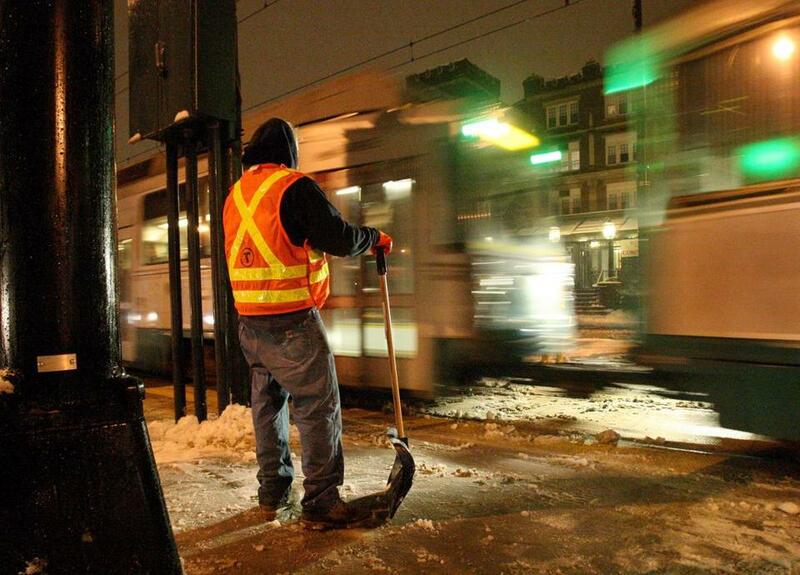 The Massachusetts Bay Transportation Authority doled out more overtime pay to workers last year than it has in several years, covering a stretch that includes the record-breaking 2015 snowfall that drove up the agency’s labor costs. The T spent $81.9 million on overtime last year, up more than 13 percent from the previous year and nearly 30 percent higher than 2016, 2014, and 2013, the earliest year of data available. Last year’s tally was slightly higher than the $80.9 million the authority spent on overtime in 2015. Still, overall the T’s 2018 payroll dipped by about 1 percent to $554 million and marked the third consecutive year of declines dating back to 2015, when the agency spent $580 million. The drop was driven by a 3 percent reduction in base pay, which accounts for the vast majority of the T’s payroll. While the average take-home pay per employee was $83,170, about 2,130 workers took home six-figure sums last year. That represented about one-third of all employees who received a check from the T last year — roughly in line with previous years. The top-paid employee collected $315,000 last year. Fifteen workers made $100,000 or more in overtime alone. 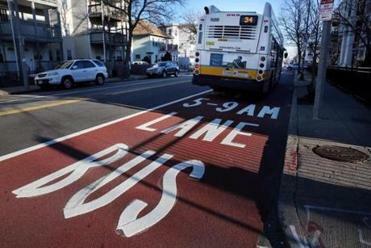 T spokesman Joe Pesaturo said a key factor that drove up overtime was “the MBTA’s aggressive capital improvement program,” which aims to upgrade and repair stations, vehicles, and other equipment. The agency has faced criticism in previous years for not investing enough in such long-term projects, prompting agency leaders to vow to ramp up spending on such undertakings. Some of last year’s overtime costs were paid for using funds from the T’s capital budget, Pesaturo said, instead of its operating budget. Pesaturo said the T’s construction spending soared 132 percent last year from the previous year. Projects included tearing down and rebuilding Wollaston Station, track work on Commonwealth Avenue and at the Fenway tunnel portal, rail bed work between Harvard and Alewife stations, and systemwide power and signal work. Many projects require shuttle bus service while tracks are worked on, which can add to the costs, Pesaturo said. But Jimmy O’Brien, president of the Boston Carmen’s Union, the largest union at the T, attributed the surge in overtime to understaffing. Pesaturo said some vacancies had been created last year, and the agency plans to fill them in the coming year. David Tuerck, a Suffolk University economics professor and president of the Beacon Hill Institute, a conservative research center, said the MBTA’s high levels of overtime deserve more scrutiny. Pesaturo said the agency managed to reduce its payroll overall by “operating more efficiently, effective management techniques, and a reduced rate of unscheduled absences among bus and train operators,” and because of retirements. The top-paid employee was former general manager Luis Ramirez, who left abruptly last month after only about 15 months in the position. He made $315,057. The next highest-paid worker was Transit Police Lieutenant Donald O’Connor, who collected $283,058, including $40,560 in overtime. ■ Deputy general manager Jeffrey Gonneville, who collected $266,341 in salary. Pesaturo said Transit Police officials’ high earnings last year were related to retroactive back pay that they were awarded after they went four years without a contract and won an arbitration case. “These reforms helped the T achieve its first balanced budget in a decade and has set them on a path to be able to make $8 billion in investments over the next five years in the system,” spokeswoman Sarah Finlaw said in a statement.